The seventh annual Golden Goose Award Ceremony was held on September 13 in Washington, DC to honor seemingly obscure federally funded research that resulted in “tremendous human and economic benefit.” Many members of Congress joined the honorees in recognizing the importance of federal-funded scientific research including Rep. Jim Cooper (D-TN), Rep. Bill Foster (D-IL), Rep. Elise Stefanik (R-NY), and Rep. Suzanne Bonamici (D-OR). The honorees included the social and behavioral scientists that pioneered the study of implicit bias and the Implicit Association Test. More information about the award, videos of the honorees, and complete coverage of the event can be found here. 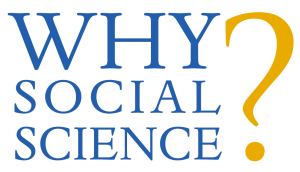 This latest Why Social Science? guest post comes from Peter Wood, Professor of Sociology and Criminology at Eastern Michigan University and chair of the Crime and Justice Research Alliance (CJRA), who writes about how the Alliance is helping to bring research on crime and criminal justice issues to policymakers and the media. Read it here and subscribe. Fiscal year (FY) 2019 is coming quickly to an end on September 30, and while Congress has made more progress on appropriations than in recent years, much of the government is likely to be funded under a continuing resolution (CR) after October 1. At the time of this writing, 6 bills have been passed by the full House of Representatives and 9 bills have been passed by the Senate. The 9 Senate-passed bills are now in the process of having differences resolved in conference committees with the House. Notably, neither chamber has passed the Commerce, Justice, Science (CJS) Appropriations bill, which is responsible for funding the National Science Foundation (NSF) and the Census Bureau, among other programs. Congress is likely to pass three multi-bill packages in the coming weeks, containing some combination of the 9 bills in conference, but likely not in time for the beginning of fiscal year 2019. One of the bill packages, a combination of the Republican-must-pass Defense spending bill and the Democratic-wish-list Labor, Health and Human Services, Education, and Related Agencies spending bill includes a CR for the remaining unfunded portions of the government to fund them past the midterm elections. On September 13, the conference committee approved this package of bills, which included a $2 billion increase for the National Institutes of Health (NIH) over their FY 2018 appropriation. Read complete COSSA coverage of FY 2019 appropriations here. On September 7, the bipartisan leadership of the Senate Committee on Agriculture, Nutrition, and Forestry sent a letter to U.S. Department of Agriculture (USDA) Secretary Sonny Perdue with a list of questions about the Department’s plans to move the Economic Research Service (ERS) and National Institute of Food and Agriculture (NIFA) out of the Washington, DC area and to realign ERS with the Office of the Chief Economist (see COSSA’s previous coverage). In the letter, Committee Chair Pat Roberts (R-KS) and Ranking Member Debbie Stabenow (D-MI) cite stakeholders’ concerns that the moves will lead to a “sharp loss of knowledgeable staff” and “erode critical partnerships with other federal agencies who are engaged in interdisciplinary research.” The letter asks for more detail from USDA on the motivation and rationale for the decision, the Department’s plans to execute the moves, and the legal authority underlying USDA’s ability to realign ERS. While no bipartisan action has been taken in the House, Democrats have expressed concerns about the proposal, including Minority Whip Steny Hoyer (D-MD), Rep. Eleanor Holmes Norton (D-DC), and the Democrats on the Agriculture Appropriations Subcommittee. A number of concerned stakeholder groups will hold a webinar with former USDA officials on Thursday, September 20. The Social Science Research Council (a COSSA member) convened the To Secure Knowledge task force in 2017 to consider optimal conditions for social science in this moment, including the infrastructure of social research, standards of inquiry, and the role of rigorous understanding in public affairs. The task force released its final report at a livestreamed event on September 17. The report includes recommendations and describes how present and future scholarship can be secured through partnerships between the academy, government, philanthropy, and the private sector. New funding partnerships should be created to facilitate coordination between government, the private sector, the academy, and philanthropy. Cross-sector data experiments, such as the Social Data Initiative, should be encouraged. New approaches to secure data and make it safely available to researchers should be developed, while standardizing and improving best practices for data use. More information about the Social Science Research Council, the To Secure Knowledge task force, and the full report can be found on the SSRC website.